A straightforward guide to your legal responsibilities. The welfare discussion document, Avian Strategy For Hobbyist Livestock and Pet Birds, has been eight months in the making. 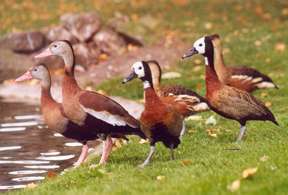 It was put together by the National Committee for Bird Strategy, a group of eight specialist societies: the British Waterfowl Association, Hawk Board, National Council for Aviculture, National Pigeon Association of Great Britain, Parrot Society UK , Pet Care Trust, Poultry Club of Great Britain and World Pheasant Association.